This month we're thrilled to roll out two top-requested features as part of the latest iOS app update. 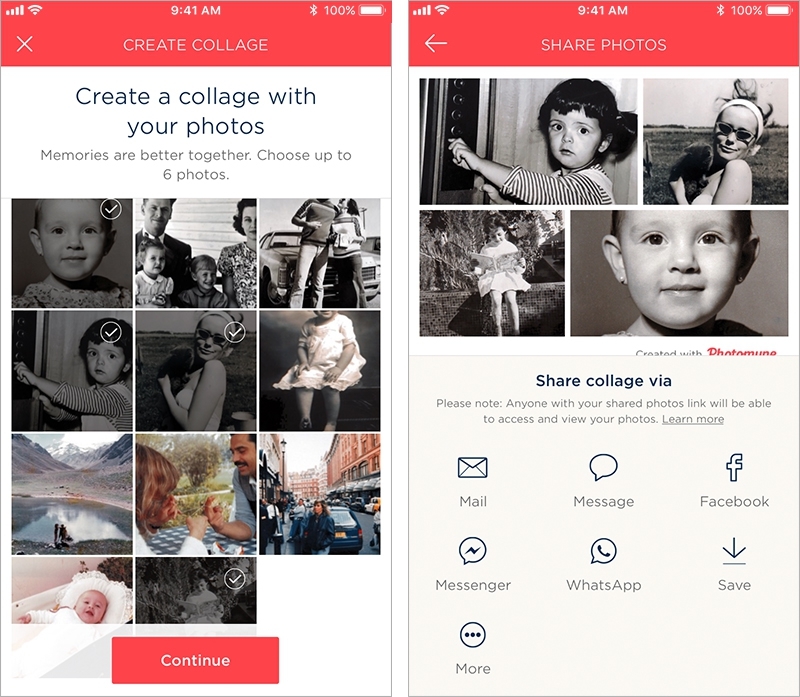 Both are about celebrating a collection of photo memories in one compelling way. This update is huge. 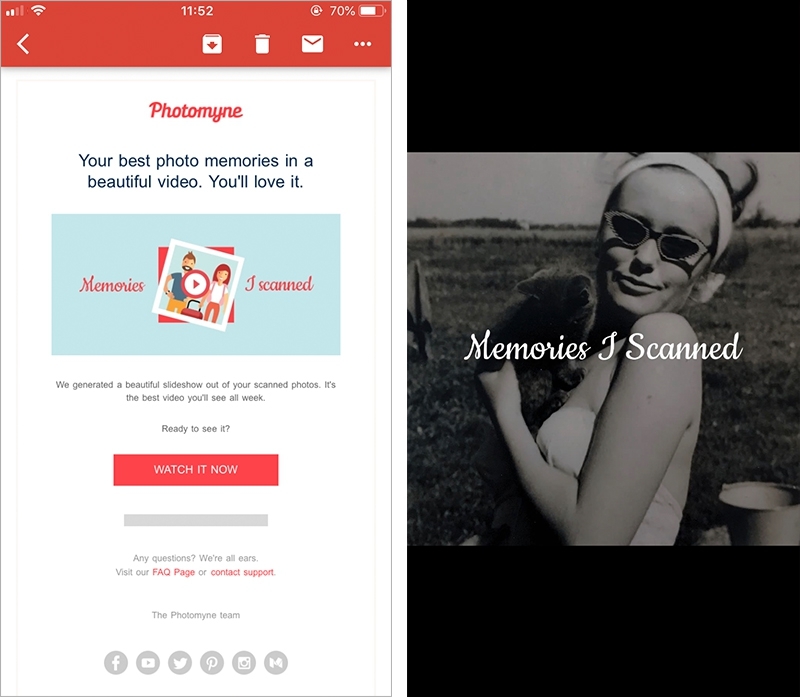 While there are dedicated apps for creating slideshows, this is merely a feature of the Photomyne app. 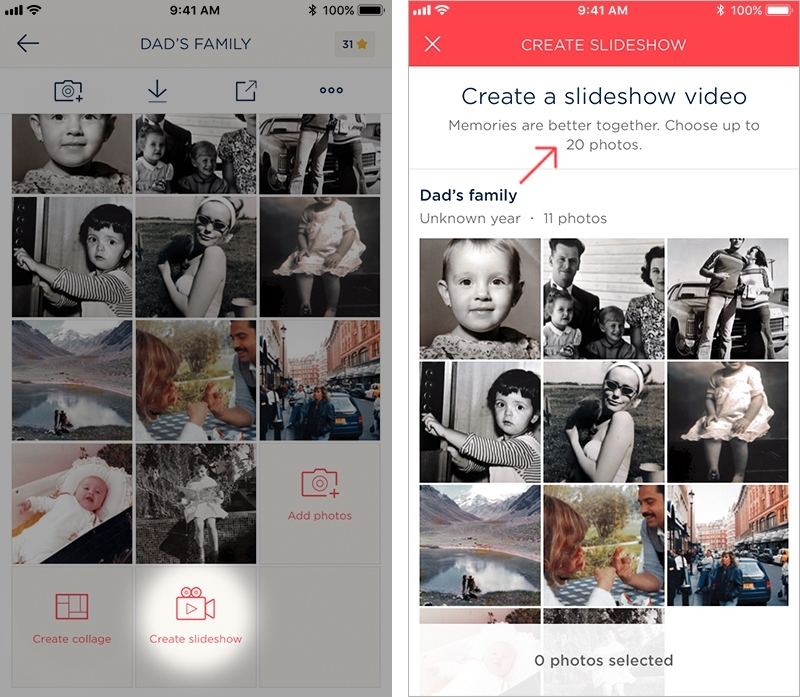 All you have to do is select photos and tap a button - within a minute or two the app will then create a beautiful video slideshow with background music that will make you emotional and nostalgic. These easy to create video slideshows are perfect for anniversaries, memorials, graduation - whatever the occasion, a video presentation with the memories you scanned will be sure to have a compelling, eye-catching, and engaging effect. 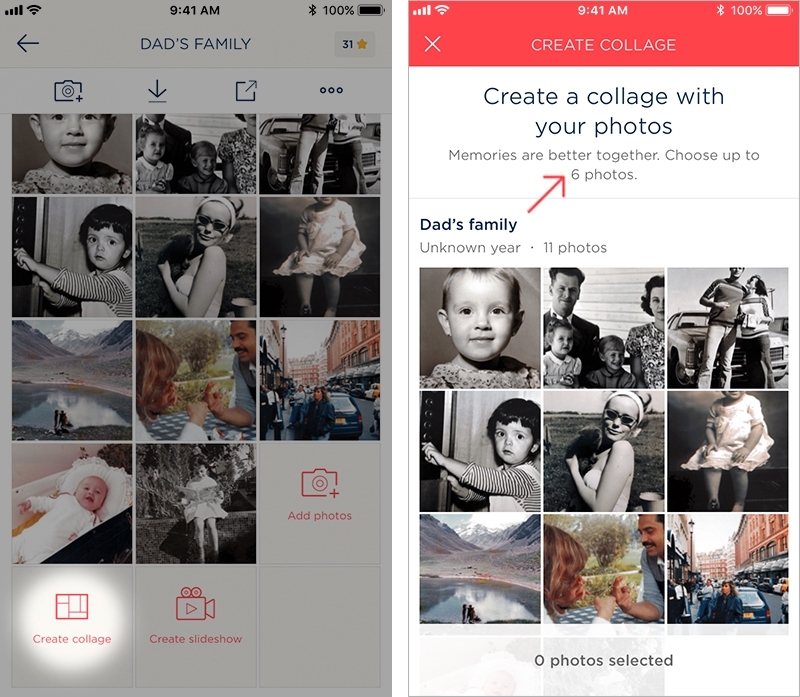 Another feature you kept asking us about, which we're happy to finally offer in the app: photo collages are here! 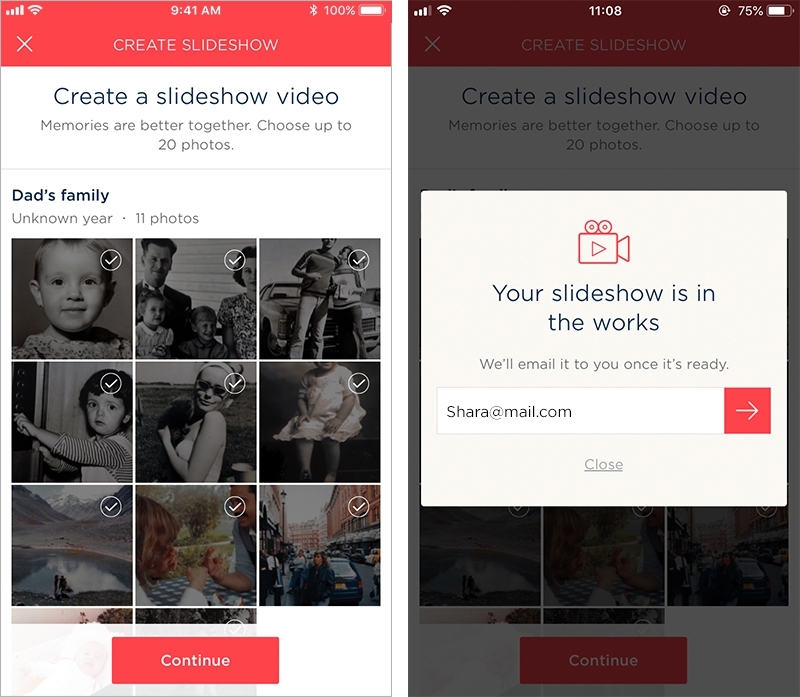 Simply pick up to six photos and tap the create button. Next step: gorgeous photo collage ready to be saved, shared or both. 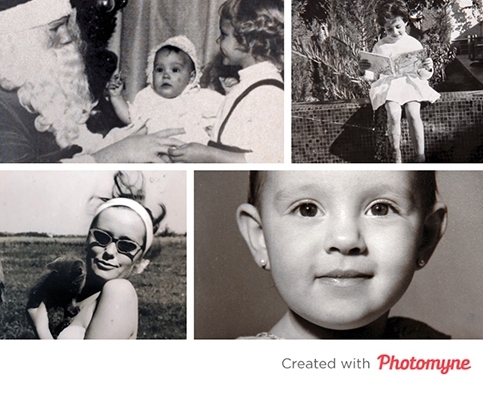 So easy now to make memories even more beautiful with the Photomyne app! We hope you enjoy these. For any questions, feel free to contact us.